Jim Durie of énergie describes the company’s achievements in 2014 and aspirations for the coming year. IFM: How was 2014 for your company? JD: Business was slow in the early part of the year with the signs of recovery in the market which picked up in August. IFM: What challenges did you face? JD: The recovery in the Irish economic situation wasn’t felt by the industry in quarter one 2014. Personal spending was curtailed as a result and membership sales were slow. JD: We have introduced Fit4Less which is a well-founded énergie low cost brand in the UK into Ireland in 2015. It is our intention to grant 10 new fitness franchise opportunities in 2015 to expand the footprint of this low cost brand in Ireland. IFM: How many locations do you have in Ireland? 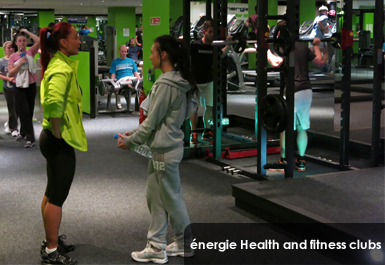 JD: énergie has 15 units in Ireland, 12 full format énergie fitness clubs which have extensive facilities including Ireland’s largest swimming school. With over 20,000 members in our clubs we are Ireland’s leading provider of Health and Wellness advice in the fitness sector. There are already 3 Fit4Less clubs operating successfully. IFM: What is unique about your business in comparison to other companies in the same industry? 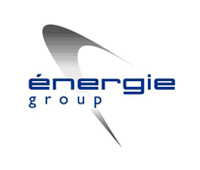 JD: énergie fitness clubs have been a market leading franchise organisation for nearly 12 years, growing from just 3 clubs in 2003 to more than 80 in 2014 with a total membership of 100,000 worldwide. We are five years in Ireland. We are versatile and progressive with great systems and processes underpinning our unique ‘results guaranteed or your money back’ promise. Franchisees can expect swift growth to profitability for a minimum investment. IFM: How do you keep your clients motivation to continue with their fitness regime after the initial motivation of the New Year has worn off? JD: Health and Wellness is high on everyone’s agenda. The cost of medical care, health insurance and time off work is increasing and personal fitness counterbalances that. Feeling healthier, better about yourself and being more productive at home and at work builds self-esteem and self-confidence. Who doesn’t want more of that? IFM: Are you seeing an increase in fitness level within this sector, and if so, why do you think this is? JD: The fitness sector is about to shift into another gear as the low-cost business expands. People who are new to fitness and on lower incomes can now afford health club membership. People who don’t want or need to have swimming or spa facilities or fluffy towels in their choice of fitness partner can join low cost Fit4less clubs and save money. The quality is no different, the same high quality equipment and highly trained staff; there are just less frills. IFM: What are the advantages of operating a franchise brand? JD: There are many independent Gym operators. By buying into a franchise, you get the brand and the experience and back-up of many years of development. You immediately move to the cutting edge of all that is good about the business and this maximises your return on investment. Going it alone is hard, having the protection of a strong franchise business around you, doesn’t guarantee success but it sure helps! IFM: Why did you decide on the franchise model? JD: Franchising is tried and tested. The Irish public understand and trust franchises. They perceive franchises bring with them quality and standards. The fitness sector has suffered from a fractured approach, franchising for énergie was a means to ensure that their Health and Wellness promise is delivered consistently. IFM: Have you noticed any new trends in the industry? JD: Trends come and go but the basic principle of fitness hasn’t changed much over time, a bit like the Human Body! Exercising with the correct guidance and advice, eating sensibly and relaxing are key element to a successful busy life. We follow trends, but the deep down approach is to take ordinary people and encourage them to be extraordinary. Our motto is ‘empowering people to transform their lives’ we really live by that. IFM: Does Energies Fitness adapt its business strategy according to trends in the market and if so how does this impact on training schedule for existing franchisees. JD: énergie is always adapting and improving its people and products. Franchisees benefit from the énergie training academy, an ITEC registered organisation in Ireland and from the énergie basic management training course in the UK. We have quarterly development meetings and an annual conference. Training is the engine room of our business and we encourage lifelong learning in all our franchisees, their staff and our own staff.